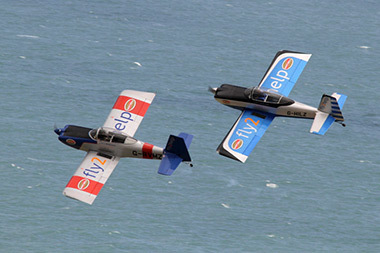 Eastbourne is the world's biggest seafront air show. 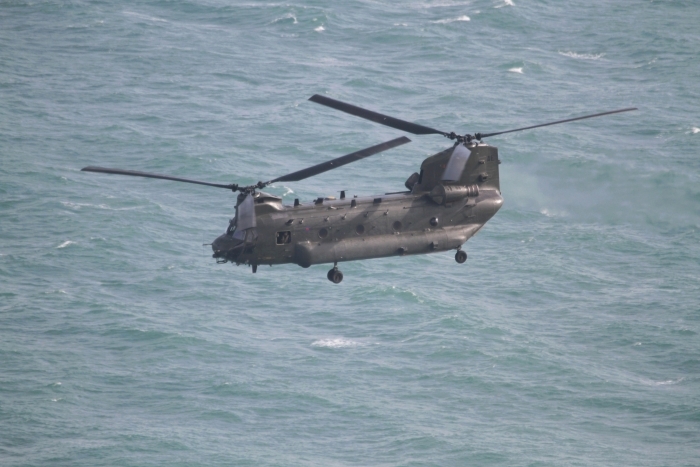 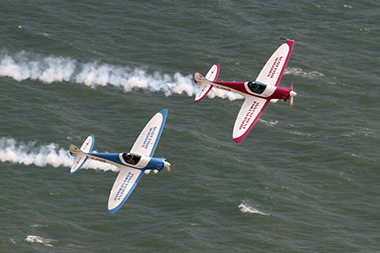 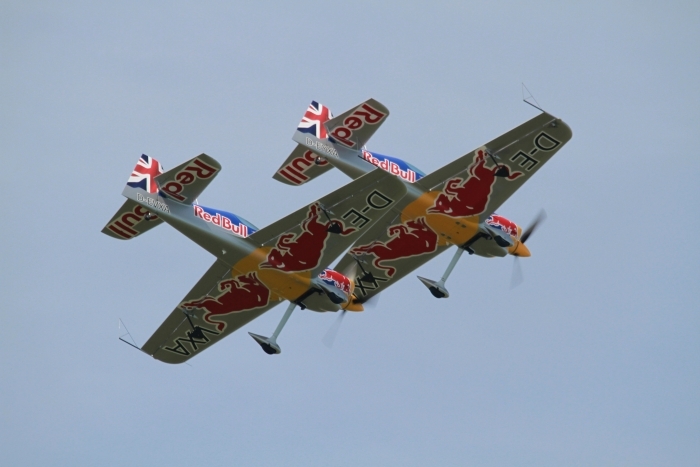 Enjoy four days of action packed flying along Eastbourne's seafront every August. 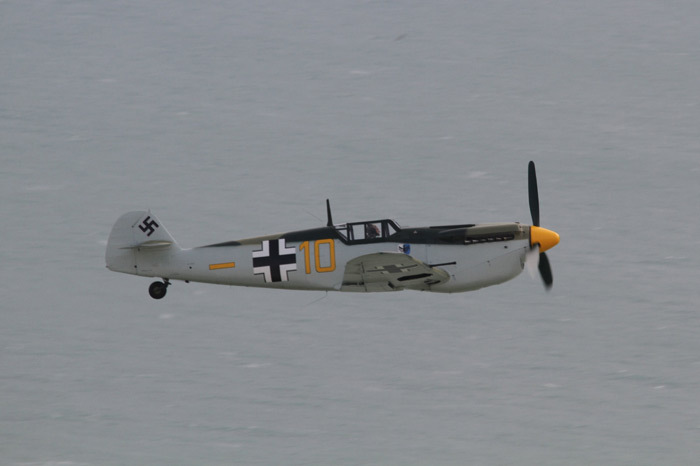 Eastbourne has had a varied selection of aircraft displaying including World War fighters such as the Spitfire, Hurricane, Mustang, Kittyhawk and The Red Arrows, and fast jets such as the Tornado and the Typhoon. 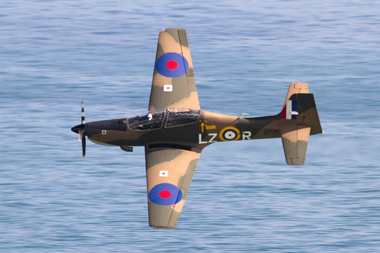 Also meet the pilots and crew members or take a look at replica aircraft and visit the trade stands on the western lawns. 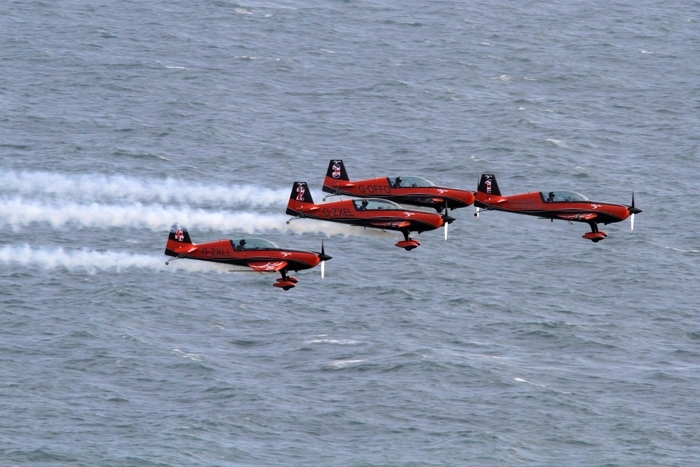 Eastbourne International Air Show spread over four days was let down by the mixed weather of fog, low cloud, strong winds and rain. 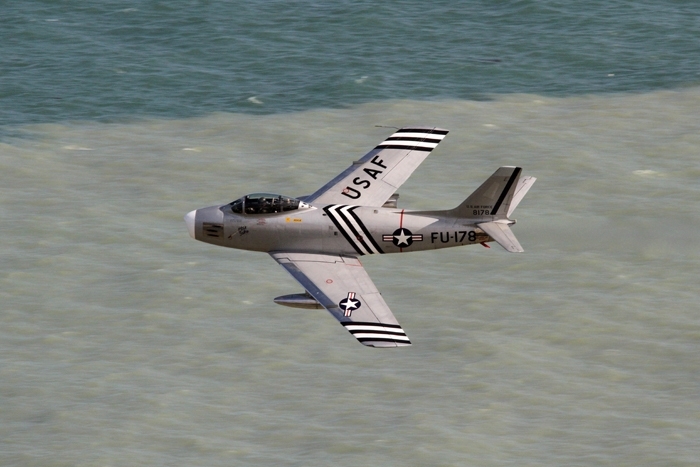 When the conditions improved slightly, most of the aircraft displayed the best they could. 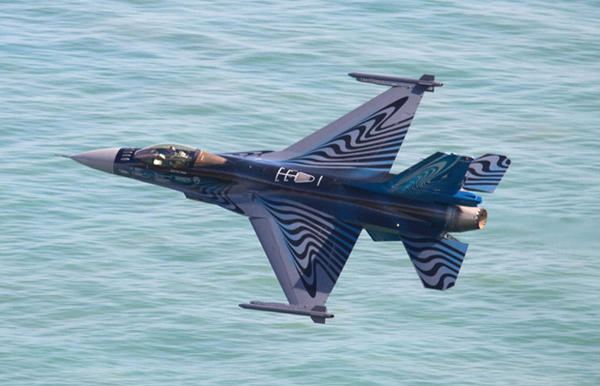 Sunday was the better day, but still some of the flying had to be cut short, or they had to do a flat display. 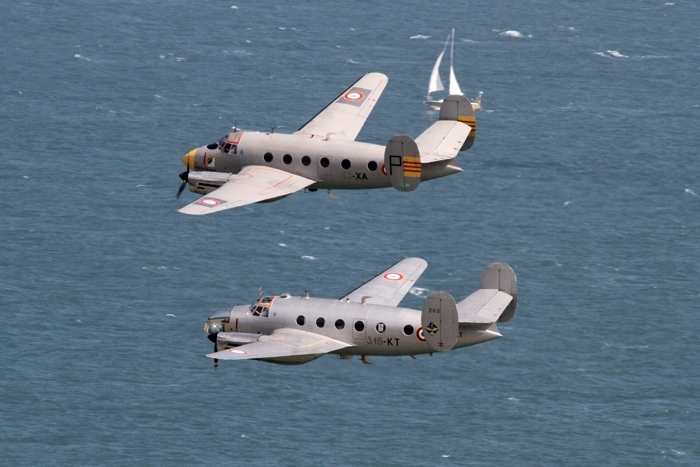 Rare visitors to the UK were two Dassault Flamant aircraft, MD-312 a six-seater transporter, and the MD-311 used for navigation training, both are based in France. 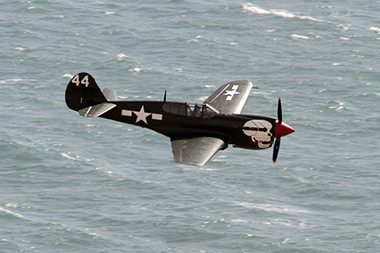 Other displays were, The SWIP Team, a P-40 Kittyhawk, Jet Provost T5, the BBMF Tucano T1, F-86 Sabre, and The Matadors. 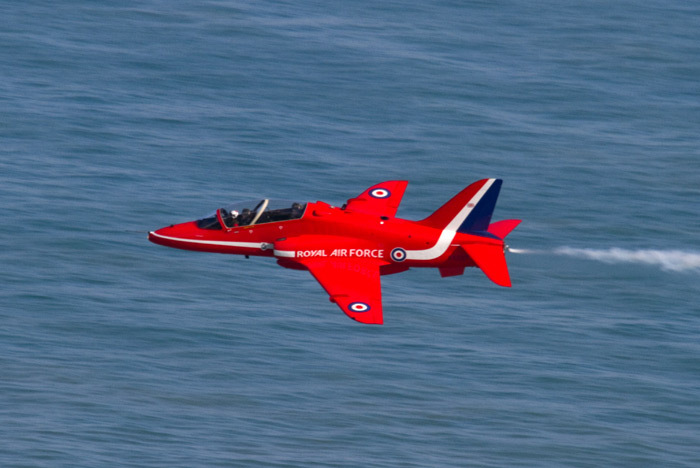 The Red Arrows still managed to fly a tight display. 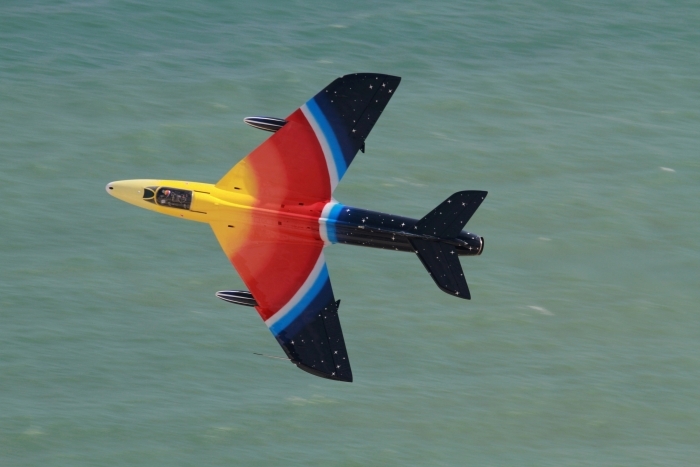 Followed by the RV8tors, Breitling Wingwalkers, credit to the two girls with such strong winds, Spitfire MK IX, Chinook HC-2, then onto one of the all time greats, Hawker Hunter F4, Miss Demeanour flown by Jonathon Whaley, mastered an exuberant display. 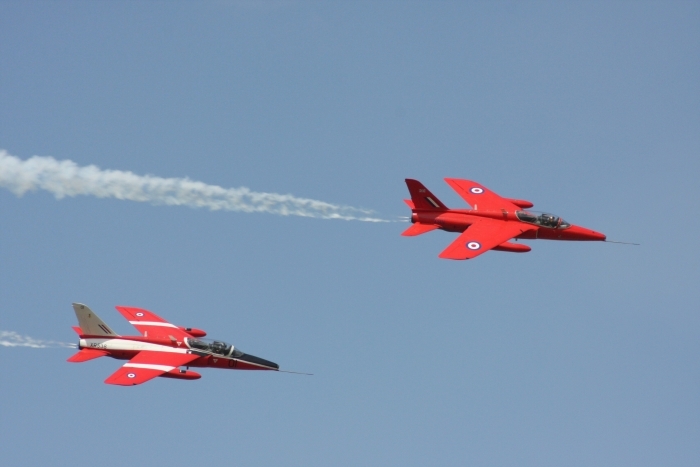 Second to last were The Blades, a full time civilian aerobatic team, all Ex Red Arrows pilots. 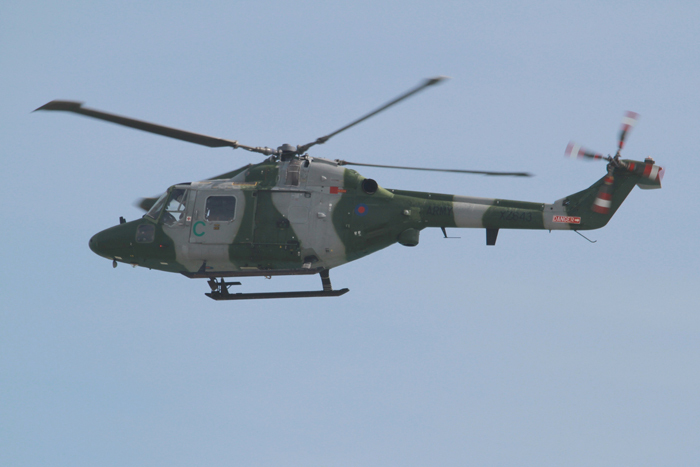 The last display of the day was the RAF's Typhoon FGR-4, based at RAF Coningsby in Lincolnshire. 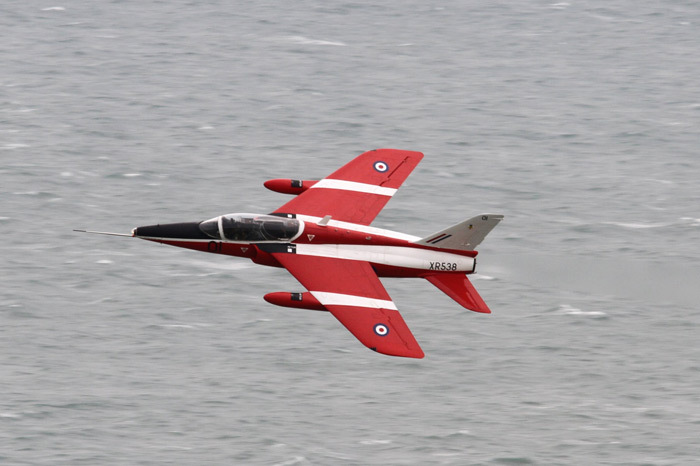 Eastbourne Air Show is one of many seaside shows around the UK, and it was their 20th anniversary this year. 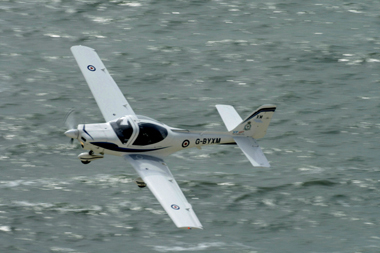 A worthwhile day out for the family, with much to do see on the ground, plus a good flying display spread over four days. 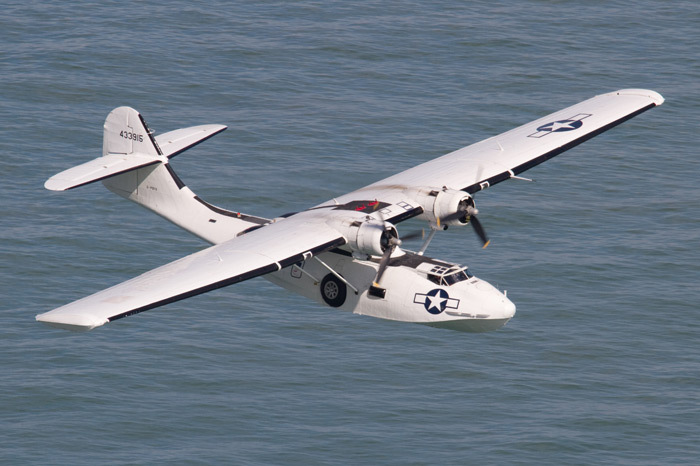 Aircraft from years gone by and modern aircraft of today were impressive. 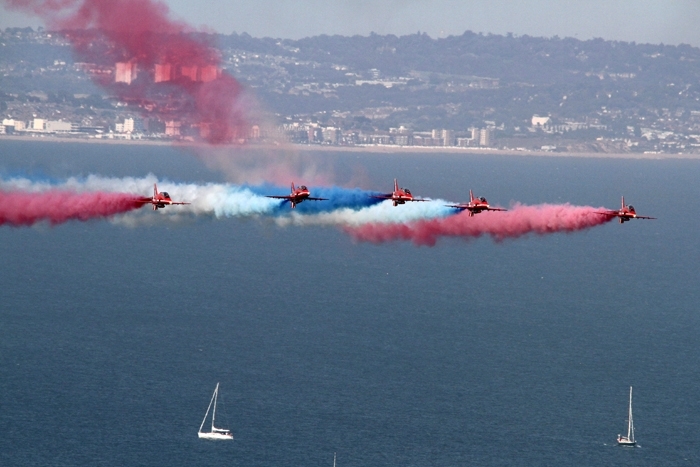 Saturday was the better day for flying, the last but one day of the Olympics. 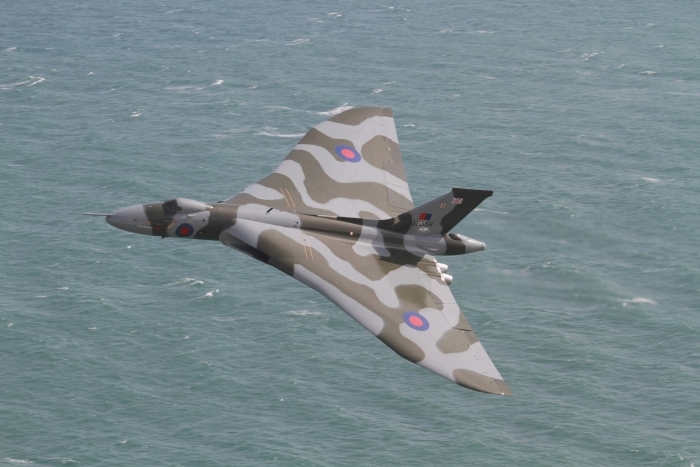 The mighty Vulcan display was worth its weight in gold. 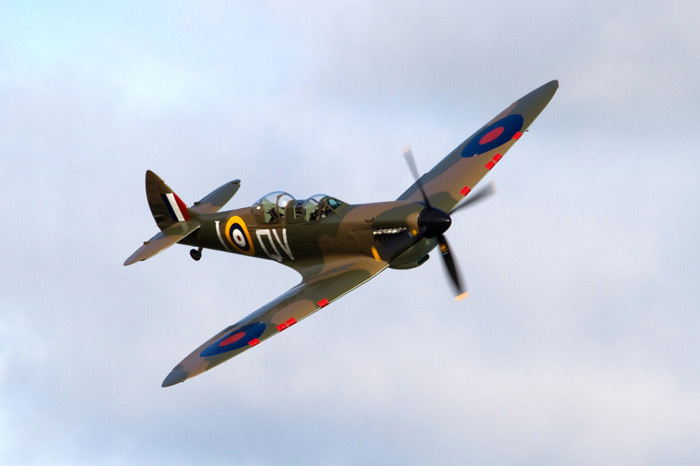 Another Avro aircraft was the BBMF Lancaster with a Spitfire, always a sight to see. 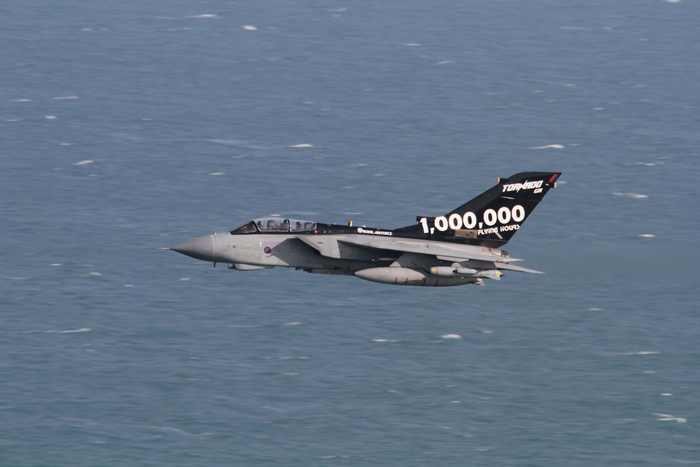 From the Royal Air Force, a pair of GR4 Tornados with their role demo, with realistic scenarios, even without pyrotechnics it was still impressive. 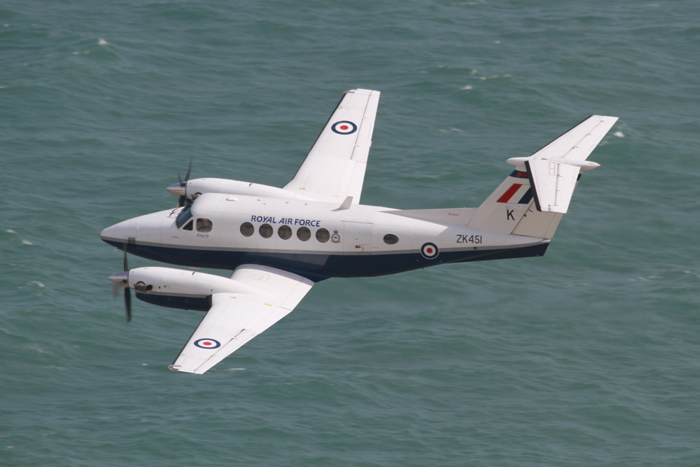 Also from the RAF, the Grob Tutor and King Air (both from RAF Cranwell) and the Tucano and Westland Sea King. 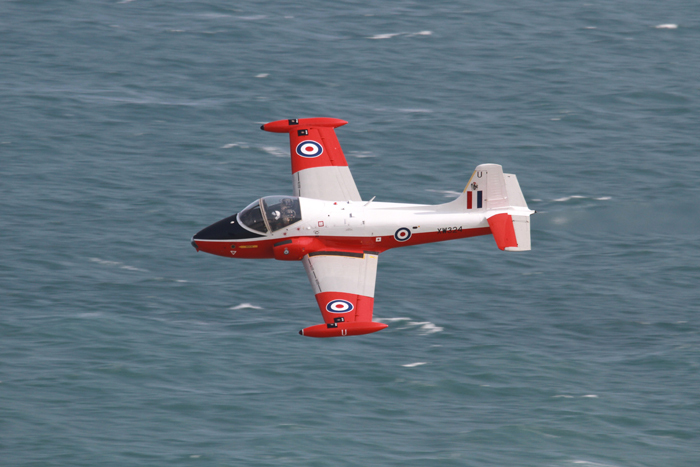 An Ex RAF aircraft presented by Jet Aerobatics was a Jet Provost Mk5 trainer. 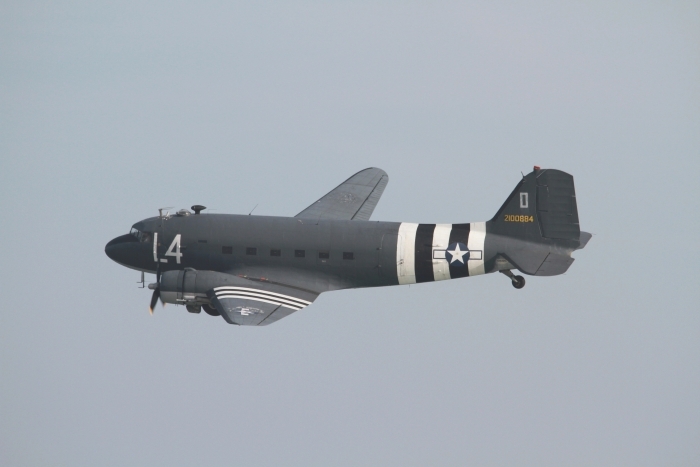 All other aircraft that took to the skies were truly received by the public. 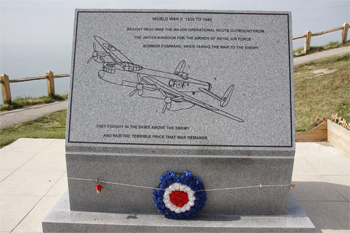 If ever you are at Eastbourne take a ride to Beachy Head and see the new Bomber Command memorial. 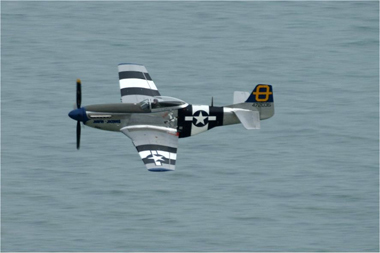 Eastbourne and its four day air show is an eagerly awaited event taking place along the south coast. 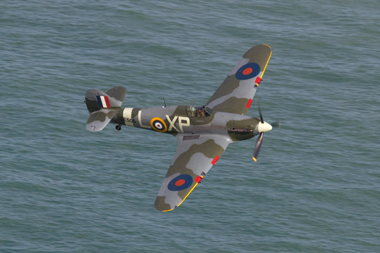 With superior views of the flying from the pier and promenade. 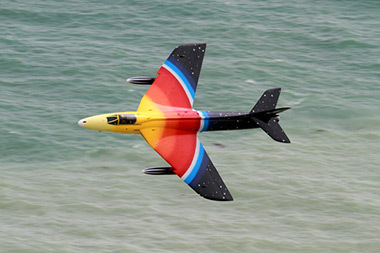 With the build up of the show starting on Thursday and Friday, ready for the shows flying. 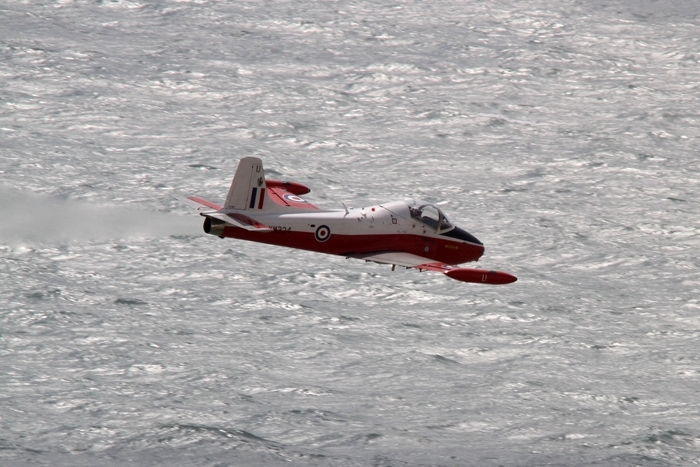 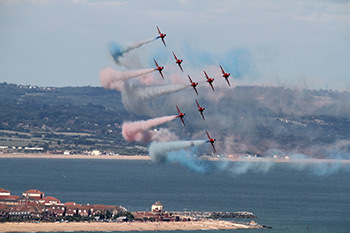 Eastbourne hosted a variety of aircraft including The Red Arrows and The Blades Display Teams. 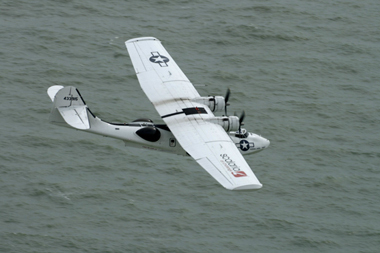 Through to the Typhoon, Hawk and Tucano from the RAF and from the civilian world came The Breitling Wingwalkers, The Twister Duo and the Catalina from Duxford. 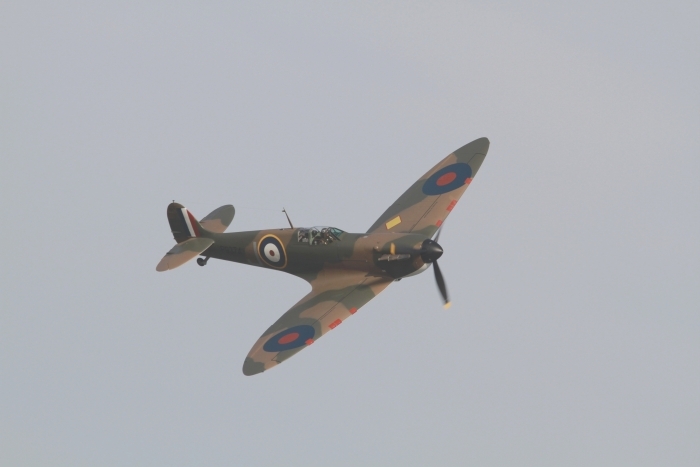 The centrepiece of the weekend was the celebration of the 70th anniversary of The Battle of Britain. 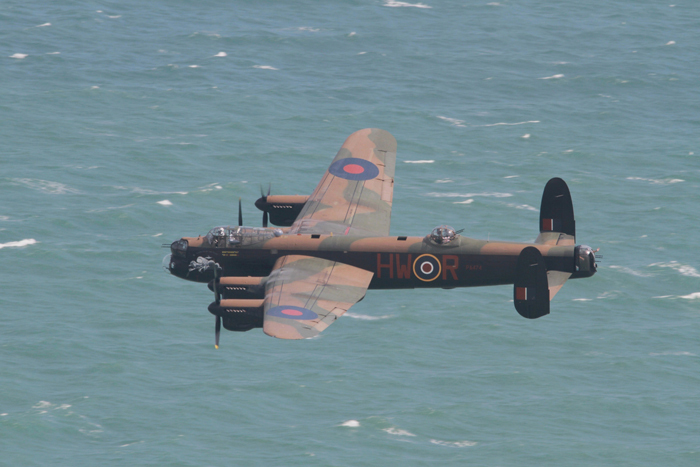 Which included The Battle of Britain Memorial Flight, with the Lancaster, Spitfire and Hurricane. 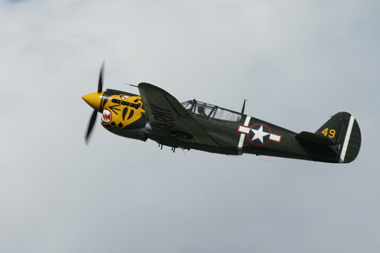 Probably the highlight of the show was the dogfight between Dave Ratcliffe in the Spitfire IXT and John Romain in the Hispano Buchon, bringing back memories and sights and sounds from seventy years ago. 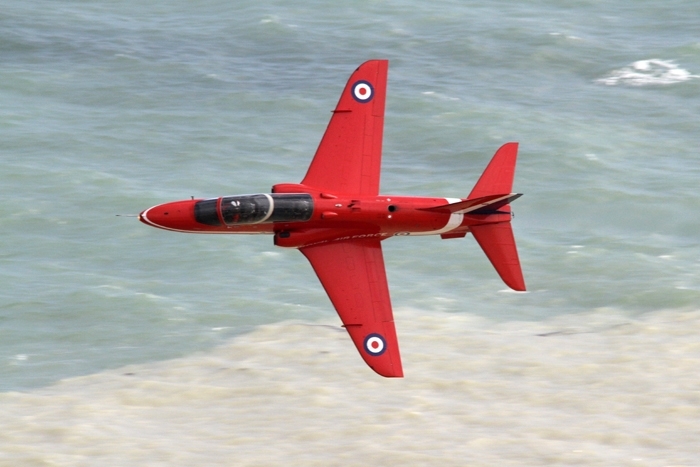 Below are a selection of photographs from Eastbourne International Air Shows.